A new study released by the Kessler Foundation focusing on the link between traumatic brain injuries (TBIs) and difficulties obtaining and keeping employment could have broad implications on the personal injury community, especially when it comes to victims whose ability to work is permanently affected due to their injury. It could also help the medical community to better develop strategies aimed at improving employment outcomes for this affected population. More than 60 percent of the population with moderate-to-severe TBI is unemployed. 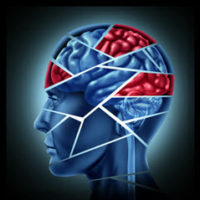 While it has long been known that a TBI involves neural damage to the frontal lobes and white matter tracts – which results in front system neurobehavioral issues – researchers have not focused on the influence that these have on employment until now. The study was comprised of 42 participants ranging in age from 18 to 60, all of which had suffered a moderate-to-severe TBI at least one year prior. According to the results, while there weren’t significant differences found between the employed and unemployed groups when it came to neurocognitive issues (for example, dementia, trouble focusing, etc. ), there were significant differences when it came to neurobehavioral issues (for example, impulsive aggression, seizures, etc.). In other words, the more neurobehavioral issues you suffer from after a TBI, the more difficult it will be to return to work. TBIs do not come about from an event such as a stroke, but rather, due to a severe external force to the head, for example, during a car accident. In fact, the three most common causes of these injuries are car accidents, falls, and firearms; meaning that they are typically due to someone’s negligence or an intentional act to harm someone else. As a result, the study results could have serious implications in personal injury litigation. As studies continue to show the greater the influence of a TBI on an individual’s neurobehavioral issues, the tortfeasor will be more likely to be held accountable for the victim’s inability to find and keep employment. Many of those who suffer from severe TBIs not only find that they cannot do the same job they did before their injury, but that doing any kind of work requires a certain amount of work-site accommodations, training, and rehabilitation therapy. If you live in Florida and have suffered from a TBI or other catastrophic injury due to someone else’s negligence or intentional act, contact the attorneys at Douglas & Carter today to find out how we can help. It is never a good idea to try and deal with the insurance companies or at-fault party on your own, as recovery may take longer and cost more than you realize. Let us know how we can help.